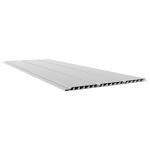 Soffit is the name given to the panels underneath the roof that can be viewed from directly underneath the roof. These are important as they stop rain water from doubling back into the roof and also with our specialised vent soffit which we install in every job we complete. This helps the timber in the roof to breathe allowing moisture content to escape. 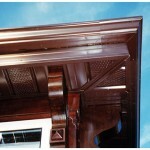 Theese come in both uPvc and Seamless Aluminium.